Give customers an easy way to return merchandise or get their money back. 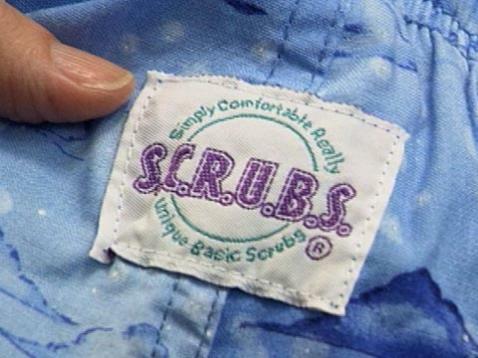 Q: What does S.C.R.U.B.S. do to make it easy for customers to shop by mail? A: They have an 800 number to take orders over the phone and they provide postage paid return envelopes. If the customer is not happy with the items ordered, they can return them for free and with very little effort. Anything you can do to save time and reduce hassle will build and strengthen customer relations. What percentage of your sales comes from repeat business? Do you know why customers don't come back? Do you know why customers do come back? How do you find out what your customers think? HATTIE: What are you actually doing? Unidentified Employee #2: Scanning the area code, the name, the customer's name, into the computer. HATTIE: Now when you zap it, is it also telling the computer that this order is going out to that customer? HATTIE: (Voiceover) S.C.R.U.B.S. is a good idea at the perfect time from a person who knew she needed help to grow. Instead of owning all of a little business, now Sue owns half of what is on its way to becoming big. What's in the crystal ball? STEVE: Quite a bit larger company. It's still going to grow. We're going to expand retail very rapidly, we're going to open a lot of stores. HATTIE: Is this the future? SUE: This is part of our strategy, yes. For this year, we've just--we've had the first store that's done quite well here, and then we went to a mall and opened up another store, and it's done really well, too. So it's proven out that there is a market there as well, because you have your catalog shoppers and you have your retail shoppers. HATTIE: One of the frustrations for buying from a catalog, for any customer, is not knowing if they're gonna love it. HATTIE: Tell me how you've solved that problem. SUE: We send a return envelope with the parcel. When you get it, it's postage paid. You just reseal it and drop it in the mailbox. So when they get their parcel, we seal it the first time with this seal right here. And then when they get theirs, they decide, oh, they don't want it, they just write `exchange' or `refund only.' It's postage paid. It's Priority Mail, so we'll get it right away, and then they just reseal it, with the second seal. SUE: Right. But if you look past that, and you see that that customer will order 10 times more in the year maybe, or in the lifetime, then you've got a true customer. And you're gonna--then you will make money on the customer. But you may not make money right away. It's like you've got to build a strong connection. Be there to serve your customer, and they'll come back to you, because they know they can come to you and get what they need. HATTIE: You're not doing this for the money. SUE: No. It was just to make people happy and bring color into their lives. You have to choose something that you really love, that you really enjoy doing, because you're gonna spend all your time doing it, and it won't matter because you're gonna love it. You're just gonna wake up thinking it, go to bed thinking it. And you're gonna need to spend a lot of hours, long hours every day. But that won't matter, because you're just gonna love doing it. Find ways to reduce hassle and save time for your customers.